It’s no secret that the data we are presented with every day can affect how we make decisions and see the world around us. So, why not embrace it during Love Data Week, February 11-15! In partnership with University Libraries and Knight Lab, Northwestern Information Technology’s Research Computing Services group is hosting the weeklong event. All students are invited to join activities designed to explore the numerous ways that data is present in our everyday lives. Scavenger Hunt – Find data resources offered at Northwestern and you could win a $100 gift card in this virtual event. Data Storage Workshop – Learn about data storage options available to you at the University. Data Analysis and Visualization Competition – Tell a story using open data about the City of Evanston and you could win a $500 gift card. Mapping Your Community Workshop – Start analyzing geographic data from the City of Evanston. Knight Lab Open Lab – Attend a special data edition of the weekly Open Lab and experience an open, collaborative environment for interdisciplinary exploration and conversation. 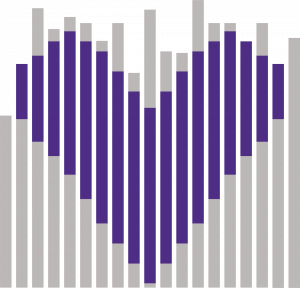 There are many more opportunities for you to expand your computational skillset beyond Love Data Week. Throughout the year, Research Computing Services sponsors user groups and offers computational workshops—on both campuses— where you can learn and practice programming, data analysis, and data visualization skills using Python, R, SQL, and more. All experience levels are welcome. Be sure to check out the Researcher’s Toolkit series and sign up for one of these upcoming introductory tutorials. For the full list of workshops and training events designed to develop data and computing skills, as well as learn about the services and resources that support research activities on campus, visit Research Computing Services Workshops and Training and join the NUIT-Research listserv.